The only banking option in Loreto is BBVA Bancomer with 2 branches. 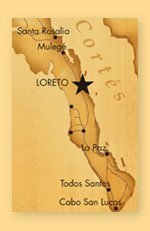 One is located outside of town next to Highway 1 which is convenient if you’re heading to San Javier, or traveling north or south along Highway 1 to other places outside of Loreto. The other location is downtown within walking distance to city hall, shops, restaurants and the central plaza district. 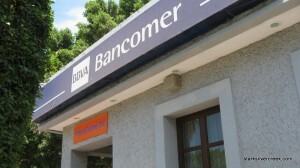 Bancomer is quite modern considering it serves a small fishing town of just over 10,000 residences. Many services are available that you’d traditionally expect in North American cities. However, be aware that sometimes English customer service representatives are not available or require longer waits. ATMs are available at both locations and work across major banking systems so most of your ATM cards will work (Wells Fargo, Bank of America, Royal Bank of Canada, Scotiabank, etc.). The exchange rate for Pesos is usually competitive even right from the ATM, however, don’t forget your service provider will typically charge a fee. If so, try to minimize your trips to the ATM. 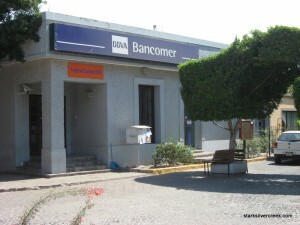 Another idea: go to the teller where you can exchange your currency for Pesos without the service fee. One thing to know before you try to open an account. Like a lot of Mexican business processes, relationships are important. So you will need to provide the names and contact information for two people in Loreto when you try to, for example, open a savings account.